On July 15, Federal Security Service (FSB) Director Nikolai Patrushev announced a two-week amnesty for separatist fighters in Chechnya. It is the seventh amnesty since Chechnya broke away from the Federation and the third of the present conflict. It is the first federal amnesty since 2003, when nearly 200 fighters surrendered. The amnesty, which does not include foreign combatants, was not actually supported by any federal legislation and may have to wait until September to be passed by the State Duma. The federal amnesty differs little from those offered before; it does not apply to those who have participated in “serious crimes,” such as attacking federal security forces. There are no guarantees, therefore, for any combatants who might choose to put their fate into state hands. Chechnya’s prosecutor has pointed to a more liberal interpretation of these conditions, as must happen if the amnesty offer is to have any response. The regional headquarters of the North Caucasus counter-terrorism effort maintains that those who lay down their arms will not be detained or arrested, but allowed to return home with a promise not to leave. Russia’s deputy interior minister, Arkady Yedelev, has promised that law enforcement agencies will soon end criminal prosecutions of surrendered fighters (RIA Novosti, July 18). Although his brutal methods in eliminating the resistance and its sympathizers are well known in Chechnya, Prime Minister Ramzan Kadyrov has called on the guerrillas to come in from the forest. Kadyrov guaranteed “all constitutional rights and freedoms” to those who surrendered, adding that it would be “senseless to ignore the offer” (RIA Novosti, July 20). The amnesty campaign joins an existing attempt to disarm the population through offering financial rewards for all weapons turned in (Interfax-AVN, July 18). Chechen MP Magomed Khambiev, a defector himself who was the defense minister under President Aslan Maskhadov, is going abroad to convince leading Chechen exiles to return to Russia under the terms of the amnesty. Hundreds of Chechen fighters, whether through a change of heart or an inability to support their families, have gone over to the pro-Russian administration in the last few years, creating serious problems for those still dedicated to the independence struggle. The defection of many resistance members to the pro-Russian militias of Ramzan Kadyrov has provided his government with intelligence assets that were never available to the Russian secret services, which lacked the local knowledge or linguistic abilities to penetrate resistance networks with any consistency. The idea of an amnesty spread quickly through the rest of the volatile North Caucasus. Arsen Kanokov, the president of Kabardino-Balkaria, described his republic’s forthcoming amnesty as “a humane act of the Russian state (that) will serve to achieve public reconciliation in Kabardino-Balkaria.” The details have yet to be worked out, but every rebel is promised a hearing with free legal representation (Caucasus Times, July 21). The FSB office in neighboring Karachaevo-Cherkessia also issued an appeal for the republic’s insurgents to seize the chance to surrender and have their activities “examined objectively and impartially” (Caucasus Times, July 20). In Dagestan, Interior Ministry Major-General Sergei Solodovnikov maintains that nearly all of the leadership of the Dagestan insurgents has been eliminated (with the notable exception of guerrilla leader Rappani Khalilov). The general suggests that those fighters who come in will be interrogated and “hopefully pardoned” (Kommersant, July 21). Dagestan claims to have had more success from involving the public and local elders in convincing fighters to surrender than from law-enforcement agencies. Alu Alkhanov, president of the pro-Russian Chechen government, is urging the federal amnesty to be extended to January 1, 2007. The government claims that 7,000 fighters have gone over to the federal side in the last few years, with many of them now serving in the militias directed by Ramzan Kadyrov. The response of Chechnya’s rebel leader, President Dokku Umarov, to the amnesty offer and the nearly simultaneous “peace manifesto” issued by his London-based foreign minister (Akhmad Zakaev) was decisive. In reference to Zakaev’s suggestion that the status of Chechnya was in some way negotiable, the president’s office released a statement declaring, “Any actions casting a doubt on the state sovereignty of the ChRI [Chechen Republic of Ichkeria] or any attempts to discuss the ChRI’s sovereignty are a crime against the state.” Peace negotiations were rejected “until realistic conditions are ripe” and the creation of new fronts in the Urals and Volga regions was announced as a response to the unwanted amnesty (Daymokh, July 19). Kadyrov attempted to embarrass Umarov by claiming that thirteen militants under Umarov’s direct command were preparing to surrender, but so far, they have not materialized (Interfax-AVN, July 18). Recently, Ramzan Kadyrov claimed that only 50 active fighters remain in the Chechen resistance, with possibly another 200-300 sympathizers. According to the prime minister, many of the remaining fighters in Chechnya originated in other parts of the North Caucasus, with the remainder composed of Azeris, Arabs and Turks (ITAR-TASS, July 18). Of course, there is the question of what amnestied fighters will do after their surrender. The short-term answer has always been to absorb the fighters into local security forces, but in Chechnya the militias are already bloated and a drain on the local treasury. Massive unemployment is a major contributor to the crisis in the North Caucasus, and local administrations are finally promising to do something about it. Dagestani President Mukhu Aliev has promised 100,000 new jobs by 2010 (Respublika Dagestan, July 19). Ramzan Kadyrov sees a wholesale change in tactics in the war against “Wahhabism” (Islamist extremism) from the military to the economic: “Up until now we have fought Wahhabism with weapons, but now the republic’s leadership is changing its tactics and switching to a method of countering religious extremism by means of the word…We are shifting the emphasis to another war—the war on unemployment. If there are jobs, then people’s prosperity will rise and there will be less people willing to risk their lives for the sake of slogans” (RIA Novosti, July 17). Every time resistance-sympathetic websites trumpet another “mujahideen victory” in which 12 Russians were killed at the loss of two mujahideen, they fail to recognize that this is in reality another defeat for Chechnya. The two mujahideen can only be replaced with great difficulty, if at all, while the supply of armed Russians is, by comparison, inexhaustible. Public resistance to the loss of Russian life has had almost no effect on the political scene. When the fighting in Chechnya turns fratricidal—between rebel forces and pro-Russian militias—the claims of “victory” by either side ring particularly hollow. While the rebel leadership has taken significant losses in the last two years, the ranks of the mid-level leadership and experienced mujahideen have been devastated by years of constant fighting. Teenagers are now often led on patrol by other teenagers, sometimes with disastrous results. The amnesties (which in their current language appear to have the greatest possibility of applying to young men with little operational experience) are intended to remove this youngest generation of fighters from the conflict. The amnesties’ backers follow a similar script in addressing themselves to “those who were deceived by Basayev” (statement by the Karachaevo-Cherkessia FSB, quoted by the Caucasus Times, July 20), “those dragged into criminal activities” (Ramzan Kadyrov, quoted by Itar-Tass, July 18), “those who were tricked into going to the forest” (Arkady Yedelev, quoted by RIA Novosti, July 18) and “citizens of Russia deceived by gang leaders” (Nikolai Patrushev, quoted by Itar-Tass, July 18). The Ural trucks, the APCs, all the Russian military equipment destroyed so spectacularly by IEDs and ambushes are easily replaced. Whereas the Federation once had difficulty financing its war in Chechnya, there is a new economic reality born from the soaring prices in the energy resource market, commodities with which Russia is especially blessed. The Russian armed forces now deploy only one division and one brigade within Chechnya, with lighter-armed Interior Ministry and pro-Russian Chechen militias handling most of the day-to-day military activity. Costs have been reduced, revenues have increased and control of Chechnya’s own petroleum resources has grown more important than ever. This brings us back to the logic of Basayev: the need to create a single convulsive event that would break the will of the Russian population, whose support for the war was essential for the efforts of the Kremlin. Basayev understood the mathematics of a war of attrition, but learned the hard way (and at the expense of the resistance movement) that no terrorist act was shocking enough to deter the Putin regime from pursuing a military solution to the conflict. Maskhadov recognized the inevitable outcome of such trends when he authorized Basayev to link up the various groups of Muslim insurgents in the North Caucasus in a single command that would disperse the Russian military effort. 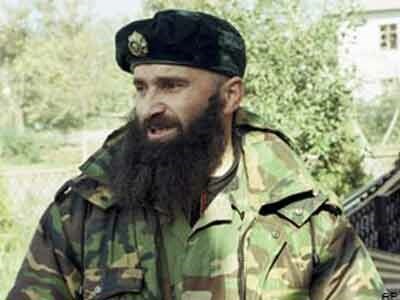 Without Basayev’s presence, the network of North Caucasus militants he created is in danger of collapse. From this perspective, Dokku Umarov’s declaration of two new fronts in the war against Russia appears to be nothing more than bravado in a deteriorating situation. Chechen authorities claim that 46 “rebels” have surrendered since the start of July, with not a single arrest made (Interfax, July 24). Nevertheless, promises of employment and eventual prosperity are made in defiance of the corruption so deeply entrenched in the political structures of the North Caucasus. Unless the kleptocratic tendencies of local administrations can be reformed, there is little chance of economic improvement in the region. Daily attacks by insurgents continue in Chechnya, Ingushetia and Dagestan, creating an atmosphere of constant instability that amnesties alone cannot change. The Chechen resistance may be reaching the point of exhaustion, but in other parts of the North Caucasus, the fighting has only just begun, with or without the leadership of Shamyl Basayev. In Yemen’s “war on terrorism,” the legal merry-go-round continues. On July 12, a dozen officers from Yemen’s Political Security Organization (PSO) received sentences between eight months and three years and indefinite suspensions from work for collusion in the sensational escape of 23 al-Qaeda suspects from a Sanaa PSO prison in February. The defendants, however, remain entitled to retirement benefits (26September.com, July 14). The suspects were tried in a military court, although Yemen’s National Organization for Defending Rights and Freedoms protested that the court had no jurisdiction since security employees were part of the civil service (NewsYemen, July 17). Nine of the 23 escapees have been captured, but none of the 13 who were convicted of involvement in the bombing of the USS Cole (including their leader, Jamal al-Badawi) are currently detained. With the exception of Ahmad al-Raimi, all those recaptured have since been released for lack of evidence. The same cause has been cited in the release of 315 al-Qaeda suspects in recent months (26September.com, May 31). The PSO, like many institutions in Yemen, is thoroughly infiltrated by Islamists, some of whom are sympathetic to the aims of al-Qaeda. The Islamists are also well represented in the parliament by the Islah Party, which, despite its opposition status, is closely tied with the ruling General People’s Congress. With al-Badawi and his colleagues still on the loose, the PSO convictions will do little to mollify the U.S. administration, which views the escape as a major setback in U.S.-Yemen cooperation in the war on terrorism. Perhaps indicative of the current mood in Yemen was the unlikely acquittal earlier this month of 19 men charged with the possession of weapons and explosives intended for attacks on U.S. interests in Yemen. Sanaa Primary Court judge Muhammad al-Badani ruled that the defendants (14 Yemenis and five Saudis) had only been charged because of their participation or intention to participate in jihad in Iraq under the direction of the late Abu Musab al-Zarqawi, and that the prosecution had failed to prove that the arms were not meant for that purpose. In a move sure to be applauded by Yemen’s Islamists, the judge relied on Sharia law in ruling that “when the enemy collects its forces to occupy a part of the defender’s homeland and seeks to occupy the whole land, so jihad is a duty for all Muslims to break off the occupation” (NewsYemen, July 9). The defendants remain in prison as the decision is being appealed in the Court of Criminal Appeals by state prosecutors, who have suggested that the acquittals “undermined trust in justice” (Arab News, July 13). With a presidential election coming up in September, there is considerable speculation within Yemen that President Ali Abdullah Saleh is courting Yemen’s considerable and influential Islamist constituency. His main challenger will be Faisal ‘Othman bin Shamlan, a vocal opponent of al-Qaeda running on an anti-corruption platform (Yemen Times, July 8). U.S. operations in Iraq are a daily sore-point for much of Yemen’s population, making President Saleh’s cooperation with the United States politically dangerous. Yemen’s army had especially close ties to the Iraqi military under Saddam Hussein, many of whose ex-members now form the core of the Iraqi resistance. U.S. support for Israel’s current attacks on Lebanon and the Gaza Strip has brought thousands into the streets in protest and calls from some members of parliament for the expulsion of U.S. Ambassador Thomas Krajesky. Other MPs have called for a portion of the country’s oil revenues to be dedicated to Palestinian and Lebanese resistance to Israel (Yemen Observer, July 18). Simmering anti-U.S. sentiment may soon endanger the already tenuous security links between the United States and Yemen. The brazen Baghdad kidnapping of four Russian embassy employees took place on June 3, only 400 meters from the Russian embassy. Violating the embassy’s own security protocols, an embassy vehicle stopped at a local grocery store (on an unauthorized alcohol run, according to Kommersant on June 27), where it was immediately blocked on both ends by other vehicles containing machine-gun-firing assailants. Vitalay Titov, a security official, was killed in the attack, while the third secretary of the embassy, Fedor Zaitsaev, and three embassy employees, Anatoli Smirnov, Oleg Fedoseev and Rinat Agluilin (a Muslim), were packed into a minibus that fled the scene. U.S. troops from the adjacent Green Zone headquarters of the U.S. military arrived with Iraqi police within minutes, but were unable to pick up the trail of the kidnappers. The kidnapping was well-organized. The stop was anticipated, implying previous surveillance of the targets and their habits. The lone security agent was quickly identified and neutralized with the entire scene cleared of assailant vehicles, personnel and hostages within moments. A safe-house and its security arrangements were arranged in advance. In all, it was a highly professional operation followed by a puzzling lack of communication from the kidnappers. There was no claim of responsibility, no political demands and no ransom requirements. In the meantime, Iraqi and coalition forces failed to find any trace of the kidnappers. Styling themselves as Iraq’s “lions of unification,” the Mujahideen Shura Council (MSC) issued a statement on June 19 claiming responsibility for the kidnapping and threatening to kill the hostages unless Russia withdrew its military from Chechnya and released all Muslims from prison within 48 hours. On June 21, the MSC, an umbrella group of anti-coalition/Iraqi government insurgent groups that includes al-Qaeda in Iraq, stated that all the hostages had been killed after Russia failed to comply with their demands. When a video of the beheadings was released on June 25, it was surprisingly dated June 13, six days before the MSC released its demands. An al-Qaeda logo was prominently stamped on the video footage as a voice-over declared that “God’s verdict has been carried out.” The video showed the beheadings of two hostages and the shooting of a third. The video did not include the murder of the fourth hostage. Since the September 11 attacks, Russia has had limited success in portraying itself as a victim of an al-Qaeda plot to establish an Islamic Caliphate on Russian territory. In the scenario painted by the Kremlin, Chechnya’s Muslim separatists are a terrorist cohort operating under the orders of Osama bin Laden. The impossible demands issued by the MSC reinforced this perception, creating an all-important al-Qaeda-Chechen “link,” days prior to the Moscow-hosted G-8 conference. It should be noted that it is impossible to verify the authenticity of the MSC statements. Strangely enough, the leader of the MSC, Abdullah bin Rashid al-Baghdadi, issued communiqués on June 16 and July 1, neither of which referred to the kidnappings despite their international importance. At one point, a Russian Foreign Ministry spokesman presented a revisionist portrayal of Russian/Islamic history: “Russia is a multifaith country in which representatives of two great religions—Orthodoxy and Islam—have lived in peace and accord for centuries.” The spokesman added that the abductees “are representatives of the Russian people, which has never waged war anywhere against Islam” (Interfax, June 21; RIA Novosti, June 21). In Shiite Iran, where Russia is assisting in nuclear development projects, the foreign ministry offered to use its influence in Iraq to help free the hostages (RIA Novosti, June 25). In Russia, there was widespread criticism that the federal government had displayed little interest in the rescue of the hostages. FSB head Nikolai Patrushev announced a US$10 million reward for information leading to “a result” in the hunt for the murderers, but retired General Leonid Ivashov described the attitude of the authorities as “criminally negligent” (Ekho Movsky Radio, June 26). The Russian Duma passed a unanimous statement declaring that the deaths were the result of the coalition “losing control” in Iraq (Itar-Tass, June 28). Suggestions of U.S. culpability through the insufficient provision of security in Baghdad became the focus of a heated exchange between Condoleezza Rice and her Russian counterpart Sergei Lavrov at the G-8 foreign ministers’ meeting. There was also considerable media speculation on the role of U.S. secret services in the affair. Iraq’s former ambassador to Moscow, Abbas Halaf, declared on Russian radio that the murders were intended to punish Russia for its stand against “American aggression” in Iraq and its support for the Palestinian people (Ekho Movsky Radio, June 26). The current Iraqi ambassador, Abdulkarim Hashim Mostafa, described the MSC as foreign-led representatives of the Iraqi Baathist regime while describing his government’s interest in Russian training for Iraqi security services (the usual practice in pre-war Iraq) (Interfax, June 28). In some quarters, the abductions have been interpreted as a warning to Russia to limit the activities of their secret services in Iraq and to temper Russian posturing as a non-threatening friend of the Iraqi government, in contrast to the “colonial ambitions” of the United States. The Kremlin’s response to the deaths was dramatic, with President Putin ordering Russia’s secret services to “destroy” those responsible. FSB head Nikolai Patrushev promised that these instructions would be carried out “no matter how much time and effort is required” (Interfax, June 28). Putin immediately issued a resolution that called for granting Russia’s president the right to deploy armed forces and special-purpose units outside Russia to prevent “international terrorist activity.” Despite opposition concerns of a return to Stalinist tactics, the Russian Duma passed the legislation unanimously on July 5, followed by the unanimous approval of the upper house on July 7. There is no expiration date for the extraordinary powers. According to the chairman of the council’s Defense and Security Committee, Viktor Ozerov, the special services will conduct their operations abroad in secret, with the president having the option of revealing such activities to the Russian public “when necessary” (Itar-Tass, July 7). President Putin claims that the new legislation is in line with Article 51 of the UN Charter, which refers to “the inherent right of individual or collective self-defense if an armed attack occurs against a Member of the United Nations.” Bush administration legal experts have cited the same article as permitting “anticipatory” self-defense and used it to justify the assassination of al-Qaeda member Ali Qaed Sinyan al-Harthi in Yemen in 2002. Putin added that the charter does not say that the aggression must originate with another state (RIA Novosti, July 7). Russia first announced a new policy of using pre-emptive military force against external threats in October 2003. Besides the GRU (Russia’s military intelligence agency), another candidate for the job of eliminating the murderers is a subunit of the Foreign Intelligence Service known as Zaslon (Shield), created in 1998 and composed of at least 300 military veterans (Izvestia, July 4). Both Zaslon and the GRU had a presence in Baghdad before the 2003 U.S. invasion and have ties to former members of Iraqi intelligence. There is no reason to attribute special skills to Russia’s present secret services in this type of operation. Their last attempt in this field, the successful assassination of Chechen ex-president Zelimkhan Yandarbiyev in 2004, was nevertheless so ineptly handled that the agents responsible were quickly arrested and considerable international embarrassment resulted for Moscow. Is this merely a case of pre-G-8 summit posturing on Russia’s part? Aiming hit squads at Iraq would risk a great deal, with only a remote chance for success. Interference in a U.S. theater of operations could threaten relations with the United States, relations that Russia seeks to modify, not destroy. Indeed, as Putin awaited approval of his new powers, he spoke of Russia and the United States together bearing “special responsibility for world security” (Itar-Tass, July 6). Tactical mistakes could also jeopardize Russian influence in Iraq and Iran. Once in Iraq, how long would the presence of Russian Special Forces be tolerated? Clearly, such activities would come into conflict with coalition operations unless carefully coordinated; for instance, there could be a repeat of what occurred on July 4, 2003 when U.S. soldiers detained and hooded a team of Turkish special forces in Iraq, an incident that infuriated Turkey. On the other hand, coordination with Russian operatives would inevitably be regarded as international approval for extra-territorial operations by Russia’s security agencies. Infiltrating Iraq’s fluid and complex web of resistance groups will be a far different task than assassinating the unprotected Yandarbiyev. If the Russians are serious, they will need to recruit and depend on Iraqi operatives. Russian agents would be even more conspicuous in Iraq than in Qatar, where the local security service monitored every move and phone call made by the Russian assassins from the moment they stepped off the plane. Russia’s legalization of retribution is a simple matter compared to operational demands in Iraq and the need to deal with the consequent international implications.